College admissions after 12th have just gotten over and like every year we met a lot of confused parents and students who came to Mapmytalent for career counseling after 12th. While many were very serious and had already planned for some career options and came to seek help as to which of the choices was best suited, there were quite a few who were rather casual. Some of them wanted the fanciest and most sought after course after 12th , in the Top college in India , in their preferred city and of course, that course / college that will give them the maximum money. Some people reached for counseling after they had already got the board results. And by this time they missed the deadlines for registration of many entrance exams like engineering, medicine and many entrance exams were already over like design entrance of Top colleges in India . So they were left with lesser career options as compared to others. Some of the students did not have the right subject combination and thus did not meet the eligibility criteria for their dream course. Like there were 4-5 students who had met the cutoff of Delhi University but could not get admission to Economics Hons, as they did not have mathematics in class 12th. Most of the students had heard about the courses they were planning to do but actually had no idea about what they would study in that course and what work they are supposed to do after completing that course. A few students were strongly interested in some career options but were clueless about what it would take to be in their career of choice. Like every years there were a couple of them wanted to be cardiologist/ neurologist etc but were not aware that it is quite different from being a cardiac surgeon/ Neuro Surgeon . They were not aware of the complete career path. They were not aware of the number of years of study needed to be a specialist and that one has to do MBBS and then a PG course and then another super specialization. Some of them started huffing and puffing after getting the full information and the “ interest” was already gone. Some had many interests but were unaware of the market reality. Like there was this one student who wanted to join space research (ISRO) but had no idea that ISRO take many types of engineers and many students from the pure science background also can work in ISRO. A substantial number of boys interested in engineering wanted to take up automobile engineering but were not aware that none of the IITs offer it at B Tech level and were very surprised. Obviously situations like above are not very good situations for the students to be in and they can save themselves from settling for last minute career decisions which often lead to unhappy and unsuccessful careers. Rather than waiting for the board results and coming for career counseling after class 12th , one should take career counseling before choosing the stream in school. By doing so one can meet the eligibility criteria and can prepare for best suited career options. 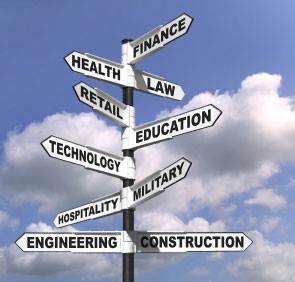 One can know about one’s strengths and depending on the strengths plan for alternative career paths to reach the career goals. So we can see that going for career counseling at the right time actually saves us from a lot of troubles and heart breaks ( Like the one that happens when you are not able to clear a particular entrance exam, or are not able to join the college of your choice as you did not have the right subjects)and leads to better chances of career success. Take career counselling from experts !